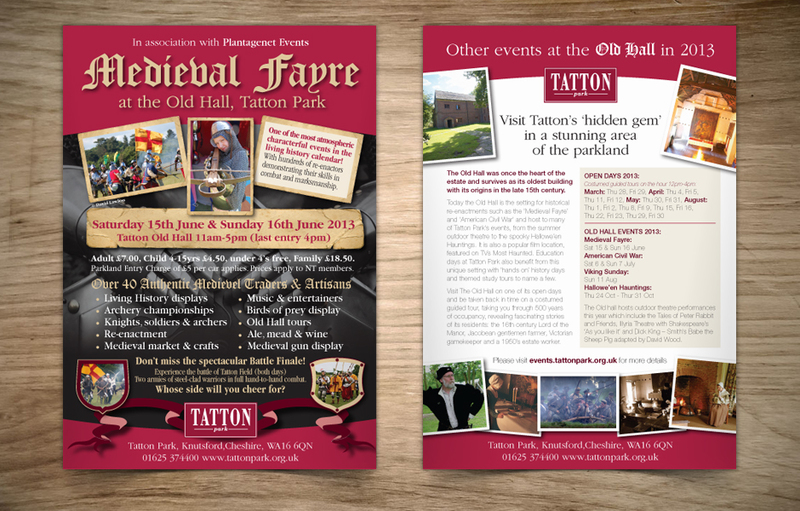 Division Design have recently designed and produced the promotional leaflet for the 2013 Tatton Park Medieval Fayre. The event takes place on Saturday 15th June & Sunday 16th June 2013 at Tatton Old Hall, Tatton Park, Cheshire from 11am-5pm and features over 40 Authentic Medievel Traders & Artisans. Experience the battle of Tatton Field (both days) where two armies of steel-clad warriors in full hand-to-hand combat – whose side will you cheer for?